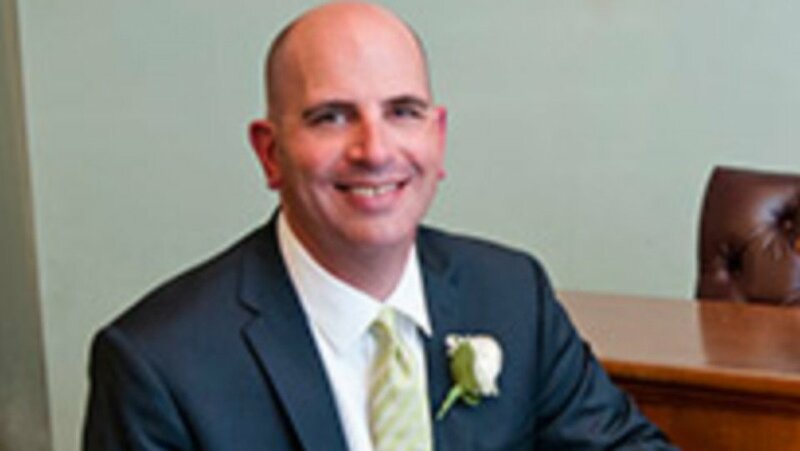 Mayor threatens process server with baseball bat? 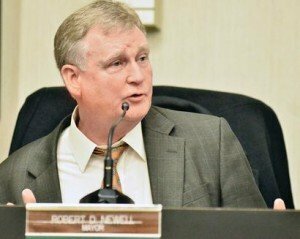 An attempt to serve the Mayor of Parkersburg, West Virginia, Bob Newell, led to a confrontation. He was being served with papers giving him notice of a hearing to determining if the mayor can remain in office. The filer of the Petition, Rob Cornelius received a hearing date in June and was attempting to let the Mayor know about this court date. Upon attempting service on Friday evening the female process server advised the Mayor would not come to the door on two attempts. 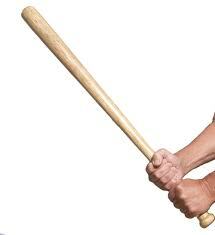 Upon attempting service the third time about an in the morning, the mayor armed himself with a baseball bat. The mayor advised he keeps a baseball bat at his door for defense. The mayor advised that when the female process server was attempting to hand him the papers her hand was inside of his home. He disagreed with the aggressive service. According to the Process server, Totten-Rectenwald, “I said, ‘I have a subpoena for you,’ and then he slammed the door in my face,” she said. Totten-Rectenwald said she knocked again. Totten-Rectenwald said that was when she opened the screen door. “I did open that to hand him the subpoena,” she said. The female process server, Totten-Rectenwald, worked with the West Virginia State Police Department for 25 years before retiring and becoming a process server. “To me, he was acting irrational,” Totten-Rectenwald said. If someone is attempting to serve you please just take the papers and contact a lawyer, especially if your work in the public sector.